An extension of the previous observation is that a servant of the Lord must be humble; 1 Peter 5:5 "Be clothed with humility." Take, for example Paul, the chief Apostle, who does not refer to himself as such, but rather as the chief among sinners: 1 Timothy 1:15 "This is a faithful saying, and worthy of all acceptation, that Christ Jesus came into the world to save sinners; of whom I am chief." He was humble and knew his weaknesses, and depended on the Lord for strength. Similarly, although we should extend ourselves to others to show forth a good example or to share the gospel, we do not have to become entangled in any behaviors or beliefs that run contrary to the truth of the gospel. Paul, as far as he could with a good conscience, became "all things to all, that he might save some," 1 Corinthians 9:20, 22; but he would not break a commandment in his reaching out to any person. The three young Hebrew boys who were thrown into the fiery furnace were humble; they honored the king, but were not willing to given in to the King's wishes to worship an idol and disobey God: "But if not, be it known unto thee, O king, that we will not serve thy gods, nor worship the golden image which thou hast set up." (Daniel 3:18). This relates to another situation in which those who are followers of Christ often find themselves: that of reproving the sin, yet loving the sinner. We are commanded to reprove and warn others; two scriptures: "Thou shalt not hate thy brother in thine heart: thou shalt in any wise rebuke thy neighbour, and not suffer sin upon him." (Leviticus 19:17) and "Behold, I sent you out to testify and warn the people, and it becometh every man who hath been warned to warn his neighbor" (Doctrine & Covenants 88:81). In some occasions, to not reprove is to approve of sin. Yet we must be both wise in harmless in offering reproof, for reproving others in the wrong spirit can be very harmful and close the door to future change and opportunities for instruction. As the Lord directs, we should proceed as follows: "Reproving betimes with sharpness, when moved upon by the Holy Ghost; and then showing forth afterwards an increase of love toward him whom thou hast reproved, lest he esteem thee to be his enemy." (Doctrine & Covenants 121:43). This again, is the serpent-dove duality we are called to carry forth in our labors, to reprove (or disapprove of sin), yet love the one in transgression. Greater success in reproving others can come from prayerful consideration of the right approach to take at the right time and in the right place and manner; and to not act out of an emotional response or when the other person is angry. We should not use angry or hurtful language, but should speak in plain terms, trusting that the spirit will do the rest in pricking the transgressor's conscience, operating on the light of Christ within. Thus we will be following the injunction of Paul to Timothy: "In meekness instructing those that oppose themselves; if God peradventure will give them repentance to the acknowledging of the truth" (2 Timothy 2:25). Remember that our reproving of others is to reclaim them to Christ, to urge them to return to the path from which they have strayed, not to prove we are correct about some doctrine or belief system. Being a wise and harmless servant requires us to enact our knowledge of the gospel. Many of us know the commandments, practice obedience to them, and study the doctrines of the church, but yet we often lack a true practice of basic gospel principles such as charity, service, love, and forgiveness. Many can speak fluently in the doctrines of our faith, yet omit their practice from daily life, unless compelled to do so through a calling or assignment. This is like a doctor who is knowledgable in the art of medicine, but who does not apply it to save others. Likewise, the great serpent satan knows much, but he will do nothing to save you, quite the opposite. He entirely lacks the dove, he is unholy. Lest he that heareth it put thee to shame, and thine infamy turn not away." To gossip and disclose the secrets, misery, and weaknesses of others is uncharitable and reveals a great weakness in those who do. 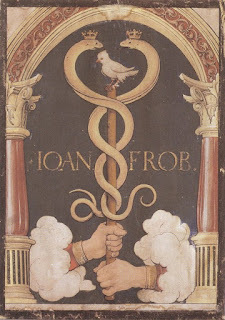 In many cases, the wisdom of the serpent and the innocence of the dove is demonstrated in being moderate: "Let your moderation be known unto all men. The Lord is at hand. "(Philippians 4:5). When tempers and passions flare, moderation should bridle us: "Use boldness, but not overbearance; and also see that ye bridle all your passions, that ye may be filled with love;" (Alma 38:12). Moderation should not be confused with being lukewarm, which is neither being cool or hot in our service to the Lord and in defense of his kingdom. To act as both the serpent and the dove means we should take the gospel of Jesus Christ seriously, yet also be cheerful in our labors with others. Soberness or seriousness about the gospel shows reverence for it and for our Savior; it demonstrates the important place that the gospel holds in our hearts. Soberness helps us remain on a fixed course towards eternal life. However, the gospel is not drudgery; it is the good news, a joyful sound. Our cheerfulness shows that the gospel blesses our lives with happiness and joy: "Rejoice in the Lord alway: and again I say, Rejoice" (Philippians 4:4). Remember that joy is a fruit of the spirit: "But the fruit of the Spirit is love, joy, peace, longsuffering, gentleness, goodness, faith, ... meekness, temperance: against such there is no law" (Galatians 5:22-23). There are so many examples of this kind of duality in the gospel that we should be developing and demonstrating in our lives as followers of Christ...caring for the poor and needy, yet providing for our families; serving others, but also going about our activities in wisdom and order; committing acts of charity and service, yet not seeking praise or recognition for it; being willing to give to others, but not encouraging laziness or acts of debauchery; listening to the beliefs, concerns, or problems of others, but not becoming swayed by them if they are opposed to the gospel; using our head (or intellect) in studying the gospel, but also our heart; using our heart to serve others, but also using our intellect; etc., etc. Maybe you can also think of other examples, they are everywhere. True servants of the Lord are both wise and harmless. They are pure and holy and full of joy, as well as wise, sober, and prudent. As we explore various gospel issues in future blog posts, it is hoped that we can more fully become wise as serpents and harmless as doves in our service to the Lord as well as to our fellow brothers and sisters.